Davenport is located in Polk County, Florida. Being on the western side of Kissimmee, it's only fifteen minutes west of the Walt Disney and Epcot attractions, forty five minutes from Orlando International airport, and Kennedy space Center. 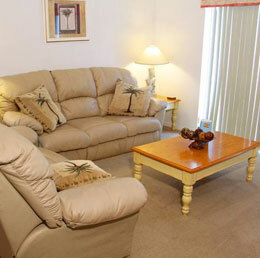 Renting vacation homes directly from Advantage Vacation Homes, pool homes and condos accommodations in Davenport, FL. Because of its easy accessibility to Central Florida attractions like Walt Disney World, Universal Studios and Sea World, Davenport has become a favorite vacation destination among visitors. But, why stay in ancient hotels where your family and friends will spread out in Orlando vacation rentals. You experience the magic of the attractions and come home to relax in your condo rental or vacation home. Most of our vacation homes have a personal pool and a select few also feature pool heating. When you need a break from the theme parks, you can play a few rounds of golf at one of Davenport’s golf courses: Highlands Reserve Golf Club and Ridgewood Lakes Golf and country club. If you're doing some research, a Disney vacation rentals home in Davenport makes an excellent home base. You’ll be near some of the area's massive shopping centers in Orlando and Kissimmee. If a Central Florida, Walt Disney World or Universal Studios vacation is on your wish list, staying in Davenport Vacation Homes is a good way to easily visit the attractions and enjoy all the peace and quiet that a vacation rental offers. Sorry! No property found matching your search criteria. You can refine your search using left panel. Use 'Modify Search' button to change your selection. Openings Hours: Monday – Friday 8:00 a.m. - 6:00 p.m. Closed on Saturday and Sunday.